World Water Day (March 22nd) is a UN initiative aimed at reducing the struggle faced by over 660 million people across the world to access clean drinking water. This year’s World Water Day theme is ‘Why Wastewater?’ which is encouraging people to re-use wastewater… So, what better day to reveal our jumbo plans for reusing rainwater as part of Project Elephant. We’ve just taken delivery of our first massive elephant house resident just in time for World Water Day – a gigantic rainwater-harvesting tank! 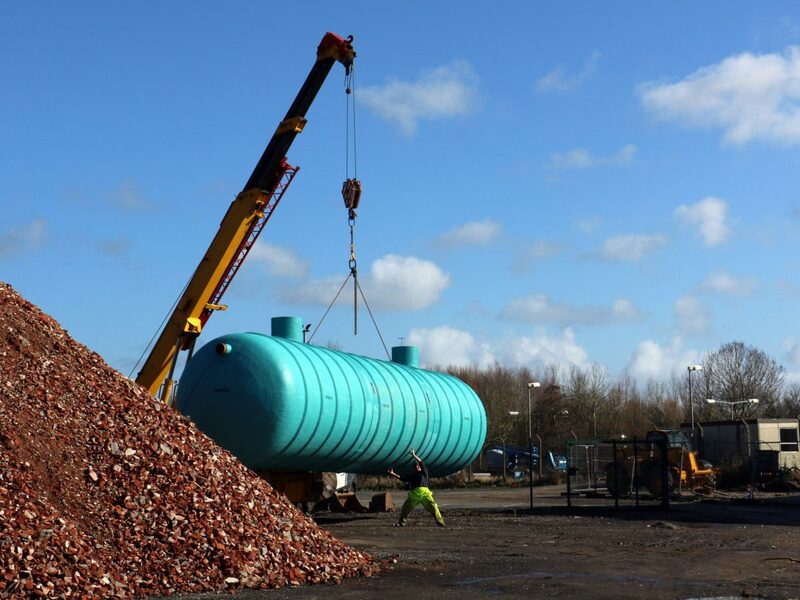 With a capacity of over 55,000 litres, the tank forms a huge part of our sustainability plans within the multi-million pound investment, which will open this summer. 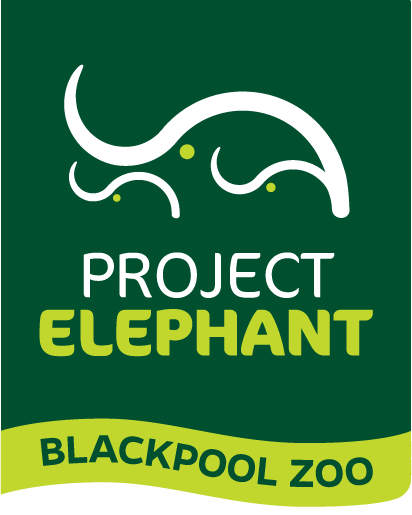 The rain and surface run off water collected will be used to clean the elephant house, wash the residents, power the sprinkler system and fire the water cannons in the elephant’s 225 square metre pool. The tank has been buried next to the new building, which is one of the largest elephant houses in the UK. Pipes will collect rainwater from the roof and it is then filtered as it reaches the tank to ensure no large debris such as leaves settle and contaminate the water. Conservation and sustainability are two key priorities for us here at Blackpool Zoo and this rainwater harvesting tank is just one part of our on-going efforts. For every hour of moderate rainfall the tank should collect 4,500 litres of water, which will go a long way to meeting the water needs of our elephants. We will use the harvested water for everything apart from drinking water for our residents. Everyone was very excited when it was delivered and we are all looking forward to seeing the results. By turning off the tap as you brush your teeth rather than leaving the water running you could save at least 12 litres of water; or enough to water to make 48 cups of tea! By fixing a dripping tap in the house you could save up to 5,500 litres of water and roughly about £18 per year. Taking a short, 4 minute, shower (with water saving shower head) could save up to half as much water as having a bath or having a longer power shower, we are much smaller then elephants so it shouldn’t take us that long to wash! Posted in Base Camp, Conservation.